If you have any questions about the PLAY THE GAME information page below please contact us. 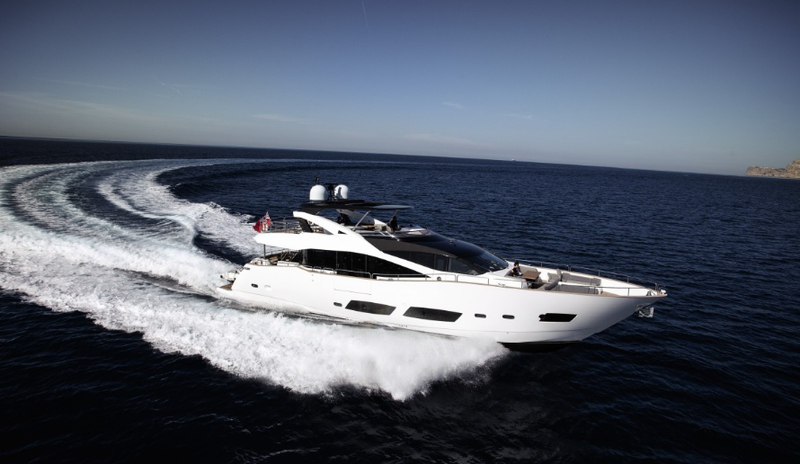 Motor yacht PLAY THE GAME is a 2014-launched luxury vessel, constructed by the UK builder Sunseeker. PLAY THE GAME superyacht offers luxurious and modern accommodation facilities for up to eight guests in four cabins. 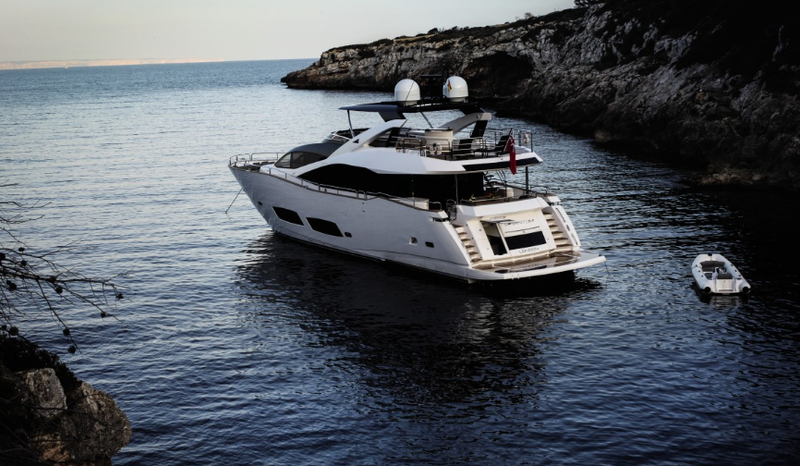 The interior of this boat can be described as ultra-stylish with contemporary features. 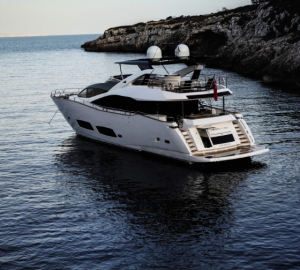 PLAY THE GAME yacht has been built to the highest specifications with immaculate attention to detail. Her elegant and modern saloon provides access to a drop-down balcony thanks to a huge sliding door. The saloon is spacious, bright and very comfortable. It provides the perfect place for socialising, entertainment or relaxation. There is a state-of-the-art entertainment system with a flat screen TV, satellite TV system, a blue ray DVD player and an excellent audio system. An elegant dining area for up to eight guests is located forward. Exteriors of PLAY THE GAME yacht provide additional space for entertainment as well as casual relaxation, with plenty of great areas, including al fresco dining possibilities. The aft deck has a dining setting for up to eight guests. The vast flybridge on the other hand is the perfect place for entertainment; there are two wet bars with an ice-maker, a fridge, a barbecue and a sink. The retractable inner canopy of the hard top can be adjusted to suite the needs the guests on board. The bow features a further seating area as well as two sun pads. Accommodation is offered in one full-width master cabin boasting a king-sized bed, a walk-in wardrobe, a sofa, vanity area, a flat screen TV and the latest in entertainments systems; a large VIP cabin, a double cabin as well as on e twin cabin. All guest accommodation features en suite shower rooms with large jet showers. 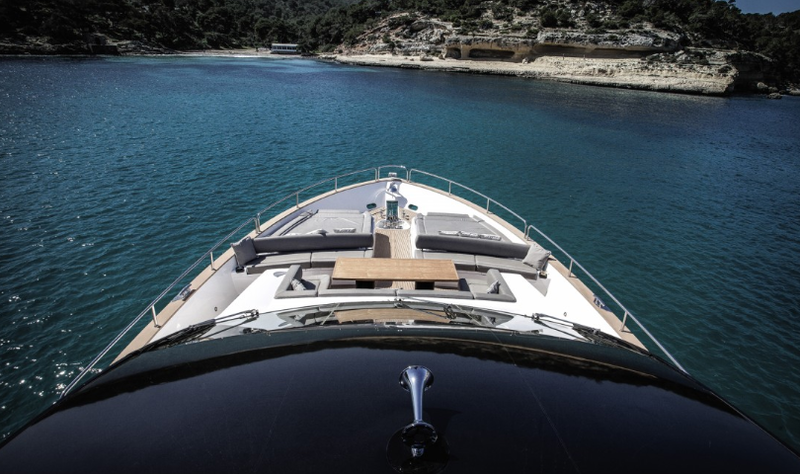 One of the main features of PLAY THE GAME super yacht is her hydraulic bathing platform which can both lower or rise on demand. From here you can swim straight into the sea or use the ladder if you prefer. PLAY THE GAME has a 100hp jet engine tender, snorkelling gear, flippers, and other water toys on board. 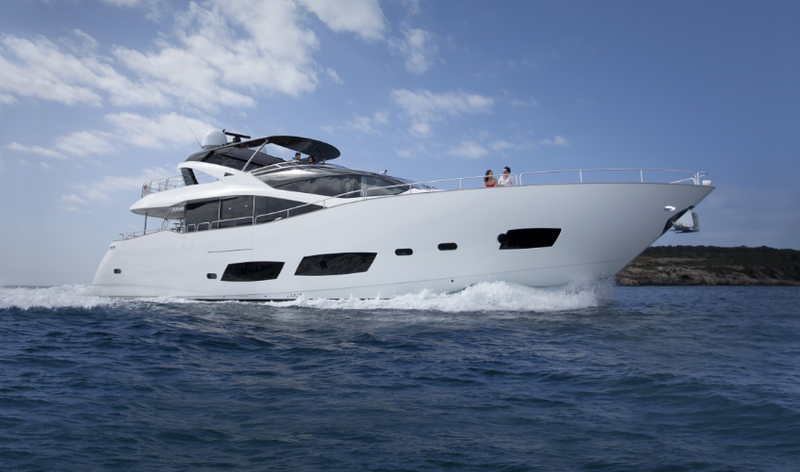 Luxury charter yacht PLAY THE GAME offers accommodation for up to 8 guests, in 4 en-suite cabins. The master stateroom is amidships and enjoys a full beam layout, king size bed, sofa, walk in wardrobe and vanity. The VIP cabin is forward and full beam of the yacht, with a queen size bed, walk in wardrobe and corner sofa. A guest double cabin offers a double bed, while a further guest cabin has side by side twin beds. All 4 cabins offer state of the art entertainment systems. We do have available further amenity, owner and price information for the 28.15m (92' 4") yacht PLAY THE GAME, so please enquire for more information. The luxury yacht PLAY THE GAME displayed on this page is merely informational and she is not necessarily available for yacht charter or for sale, nor is she represented or marketed in anyway by CharterWorld. This web page and the superyacht information contained herein is not contractual. All yacht specifications and informations are displayed in good faith but CharterWorld does not warrant or assume any legal liability or responsibility for the current accuracy, completeness, validity, or usefulness of any superyacht information and/or images displayed. All boat information is subject to change without prior notice and may not be current.